I recently got up early on a beautiful Saturday morning just before heading to Genoa in Italy for the weekend to go for a 5km run on the coastal path just west of Monaco, following the Mediterranean from Plage Marquet in Cap d’Ail to the magical Mala Beach: this stunning view is just an example of what you can see on this trail which is perfect both for walking and for running, perched between the mountain and the sea with stunning Belle Epoque villas – for more information, check out this article! 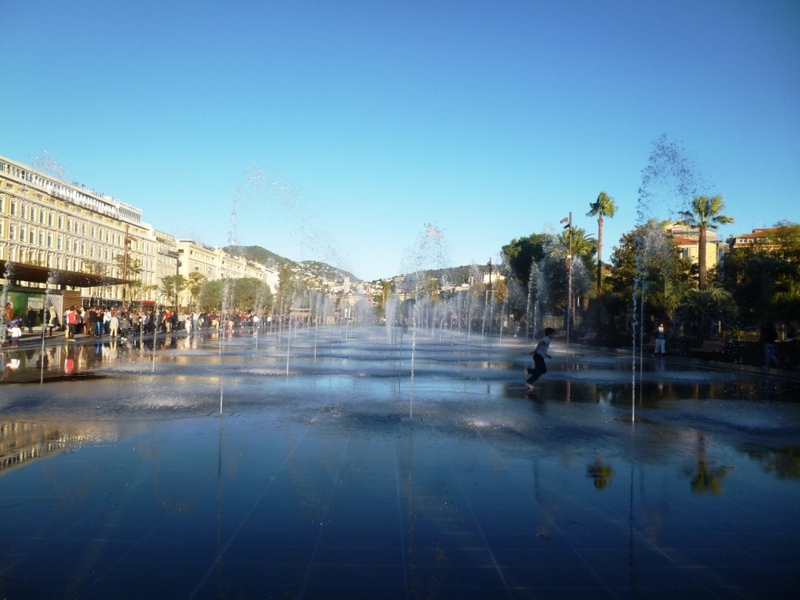 The end of October 2013 marked the inauguration with great fanfare of the new “green axis” (coulée verte), officially known as the Promenade de Paillon, covering 12 hectares and 1.2 kilometres right through the heart of Nice. Given the massive amount of hype in the press and social networks and the lovely weather we’ve been having so far this autumn, I decided to head over to Nice and check out what all the fuss was about… At the same time, I also had a proper walk around the Castle Hill so what follows is a nice itinerary to fill a sunny afternoon in Nice, especially if you have kids with you.